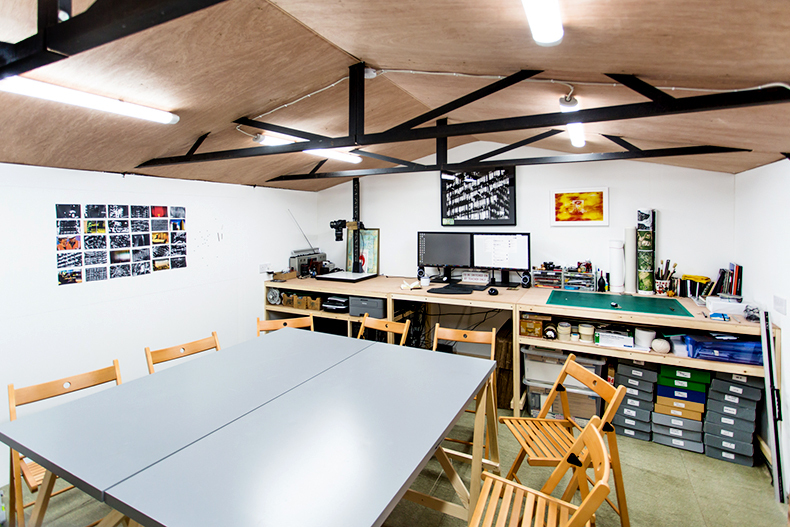 The Studio Workshops are a series of relatively low cost, intensive one day workshops I run from my studio in south London. They were borne out of my experience of teaching in often rather generic teaching spaces, I also found I could never physically carry all the resources I wanted to share in classes. I had a feeling that a workshop in a working photography space might be a better experience for participants and workshop organisers alike and I’m finally in a position to try this out. Running these workshops in my studio and home means that we are surrounded by photography the whole time, from my extensive photo book library to the boxes of ephemera collected during my projects. The workshops themselves are designed to be highly specific in focus, learner orientated and emphasise as practical an possible in approach. Each workshop lasts one day (six hours, plus an hour for lunch) and the cost includes all workshop materials as well as lunch in my home next door to the studio. I also feel that the social element is also an important part of the workshop, time spent together over lunch means an additional opportunity to discuss the workshop themes and for everyone to get to know each other. Over time I hope this will build up to a network of people with like minded interests able to share advice and ideas with each other.